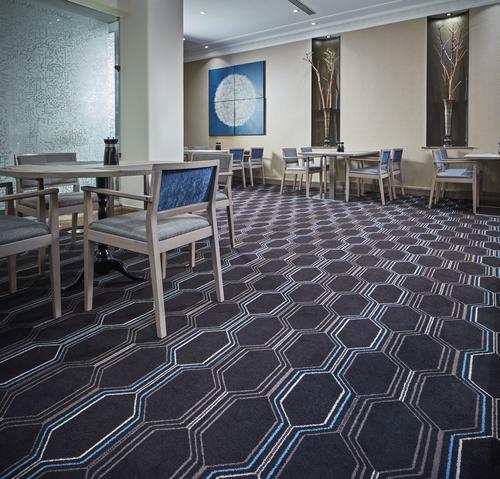 Internationally renowned H4 Hotels commissioned Brintons to design carpets for luxury 4 star hotel, Hannover Messe. 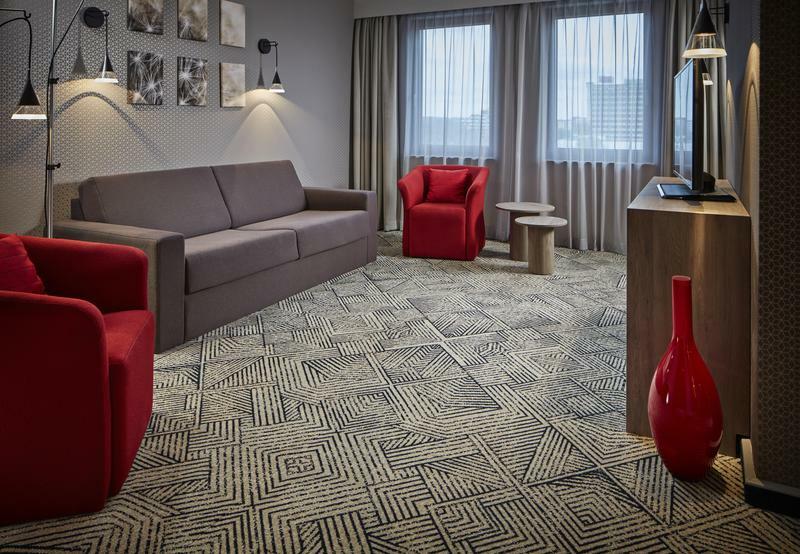 Working with interior design experts JOI-Design, and hotel development company Fuering Hotel Consulting GmBH on the renovation Brintons have created bespoke axminster carpet for the hotel, as well as selecting a range of existing designs from Brintons' well known collections. 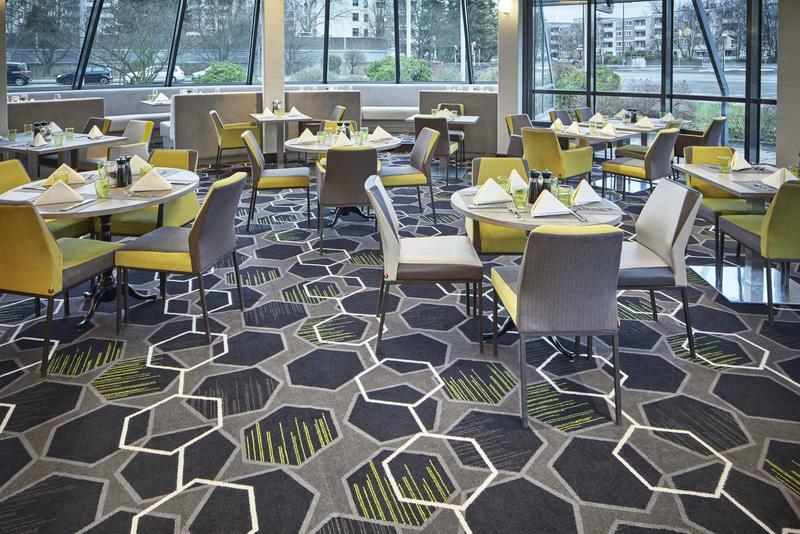 Influenced strongly by its proximity to Hannover's business centre, museums and Lake Maschsee the range of carpets installed in Hannover Messe suit both the contemporary feel combined with the structures and textures of nature. 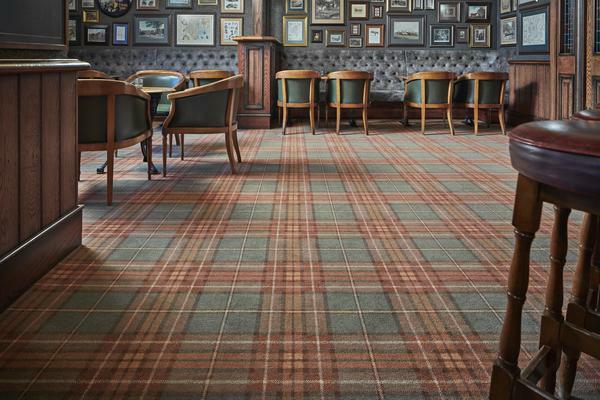 Brintons provided a reliable and quick service and accompanied us through the carpet selection process, giving excellent advice and providing a mix of technical and more 'natural designs'. The result is that each area of the hotel has its own individual feel, which is just what we were looking for. 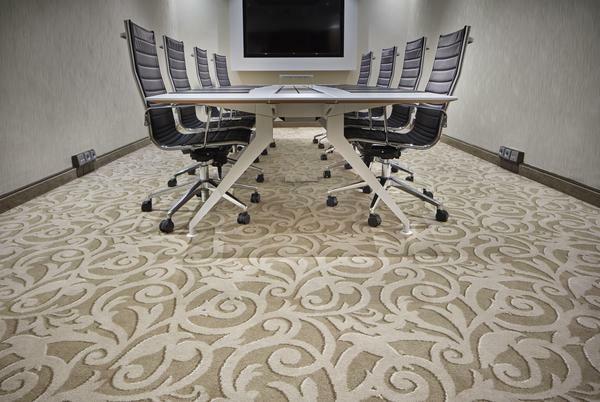 Brintons carpets can be seen in the hotel's guestrooms, corridors, meeting areas and ballroom covering a total of 8,355m2. The themes of technology and nature informed the carpet selection, creating clean lines and a contemporary feel. 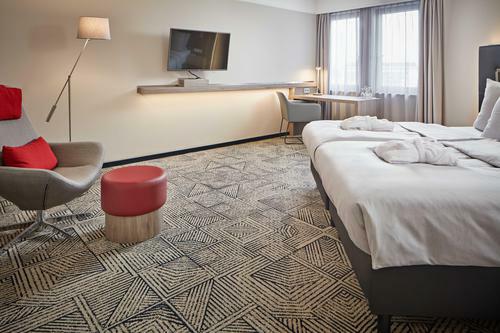 H4 Hannover Messe Hotel's renovation subsequently used designs from a range of Brintons collections including; The Deep Grid collection by Studio Zuzunaga, Brintons Inspirations, Timorous Beasties Collection by Brintons, and Cavan Plaids from the Abbeyglen Collection. 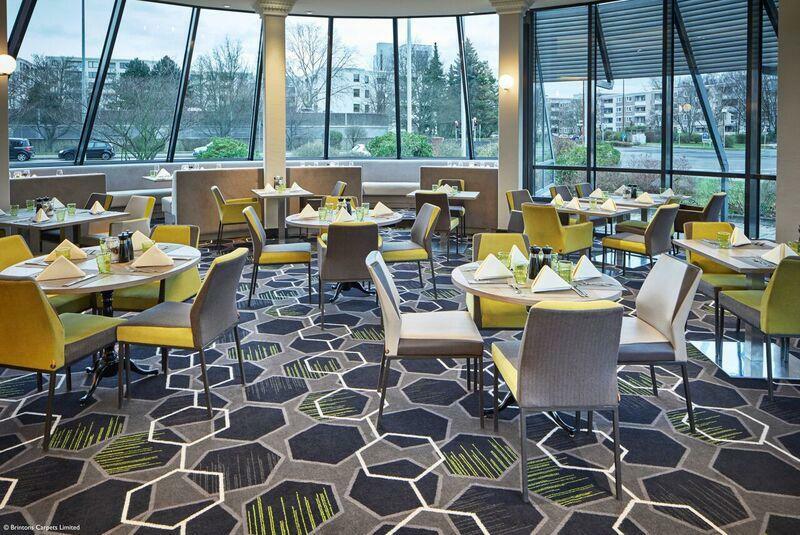 Brintons have also been commissioned to re-design the hotel's ballroom later this year. 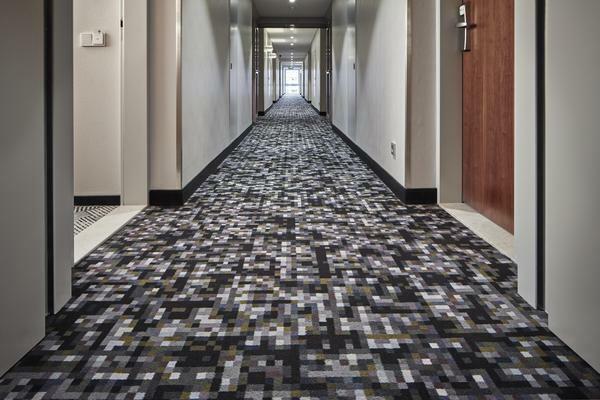 The surrounding industry fairs played a central role in the original design inspirations of the hotel. With technical innovations evolving and no longer being an isolated field, technology is now merging more than ever with nature and the ideas that surround sustainability - IT and biology will continue merging in the future.